Here at Aardvark we tell clients that prevention starts at home. By giving flea/tick prevention. 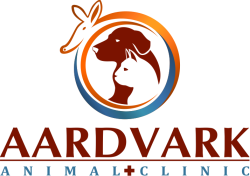 Heartworm prevention and keeping a close eye on your pets and their behavior many symptoms to diseases can be spotted early on. They usually let you know as soon as something might be the matter. We are always ready to help and would love to give you more insight on what you might be on the lookout for when you visit us, Dr.Martinez enjoys answering any questions clients might have,never hold back on questions, even if you believe it to be a silly one. Preventive care plans are a great way to provide care, and to keep your cat healthy. One of the greatest concerns among veterinarians and cat guardians alike is how best to maintain your cat in as healthy a condition as possible for his entire life—from kittenhood to the senior years. Recent surveys conducted by veterinary professionals have recognized that many cat guardians would rather pay for veterinary care in monthly installments than in one lump sum. Personal experience tells me that cat guardians would appreciate some help with a better understanding of what is entailed in good preventive healthcare. Many could also use help with planning and budgeting. Fortunately, preventative care plans can help with all of that. What are preventive care plans? Preventive care plans allow you to purchase a comprehensive package of preventive care services from your veterinarian. They may have an initial cost and include services like checkups, vaccinations, nail trimmings, blood work and potentially much more, depending on the plan you use. Why is a preventive care plan helpful? The American Veterinary Medical Association and the American Animal Hospital Association have jointly developed canine preventive healthcare guidelines. These guidelines are an excellent resource for keeping your cat healthy, and following them will require a real commitment on your part. It will also require that significant thought be given to the costs. This is where preventive care plans come in. While the list might seem overwhelming at first glance, by making regular payments, and adhering to a preventive care plan, pet guardians are able to assure their cat the best “wellness” protection possible without unexpected, large expenses that can be a jolt to the budget. both anticipated and unexpected costs. (Click here to learn about the difference between preventive care plans and insurance.) This allows you to more easily provide the sort of care your cat needs, and you want. No one wants to have to make medical decisions for their cat based on financial concerns. Ask your veterinarian if he offers a preventive care plan. Regardless of what you choose, it is important to keep your cat and your family healthy. Rely on your veterinarian to provide the best of care. Preventive care plans are a great way to provide care, and to keep your dog healthy. One of the greatest concerns amongveterinarians and dog guardians alike is how best to maintain your dog in as healthy a condition as possible for his entire life—from puppyhood to the senior years. Recent surveys, conducted by veterinary professionals, have recognized that many dog guardians would rather pay for veterinary care in monthly installments than in one lump sum. Personal experience tells me that dog guardians would appreciate some help with a better understanding of what is entailed in good preventive healthcare. Many could also use help with planning and budgeting. Fortunately, preventative care plans can help with all of that. Preventive care plans can be purchased from your veterinarian.. They may have an initial cost and include services like checkups, vaccinations, nail trimmings, blood work and potentially much more, depending on the plan you use. Why is a preventive care plan the right option? The American Veterinary Medical Association and the American Animal Hospital Association have jointly developedcanine preventive healthcare guidelines. These guidelines are an excellent resource for keeping your dog healthy and following them will require a real commitment on your part, and that significant thought be given to the costs. This is where preventive care plans come in. While the list might seem overwhelming at first glance, by making regular payments, and adhering to a preventive care plan, pet guardians are able to assure their dog of the best preventive care protection possible without unexpected, large expenses that can be a jolt to the budget. Preventive care plans vary in their provisions, so be sure you are clear about what is covered in terms of early diagnostics and disease prevention. These programs are not insurance plans, but together with insurance programs your dog can be covered for both anticipated and unexpected costs. (Click here to learn about the difference between preventive care plans and insurance.) This allows you to more easily provide the sort of care your dog needs, and you want to provide. No one wants to have to make medical decisions for their dog based on financial concerns. Ask your veterinarian if he offers a preventive care plan. Regardless of what you choose, it is important to keep your dog and your family healthy. Rely on your veterinarian to provide the best of care.